Well hello to you my reader chums! 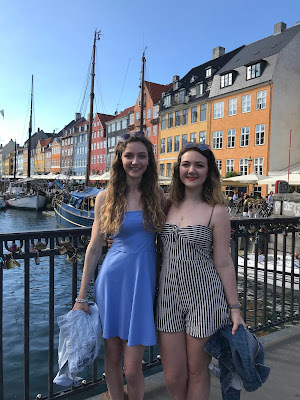 Last week, my twin sister and I ventured on a short 3 day city break to Copenhagen. I have never visited Scandinavia before and wasn't sure what to expect however, I heard many positive things about the city prior to arrival - and couldn't wait to see what it had in store. The city of bikes, friendly folks and beautiful sights, Copenhagen is a place not to be missed. There are sights in the plentiful, an Instagram-worthy harbour and a calm atmosphere like no other city. 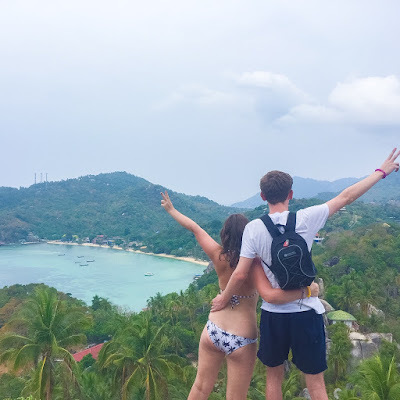 With this guide, I'm going to share everything we got up to over the few days, where we stayed and my top tips. 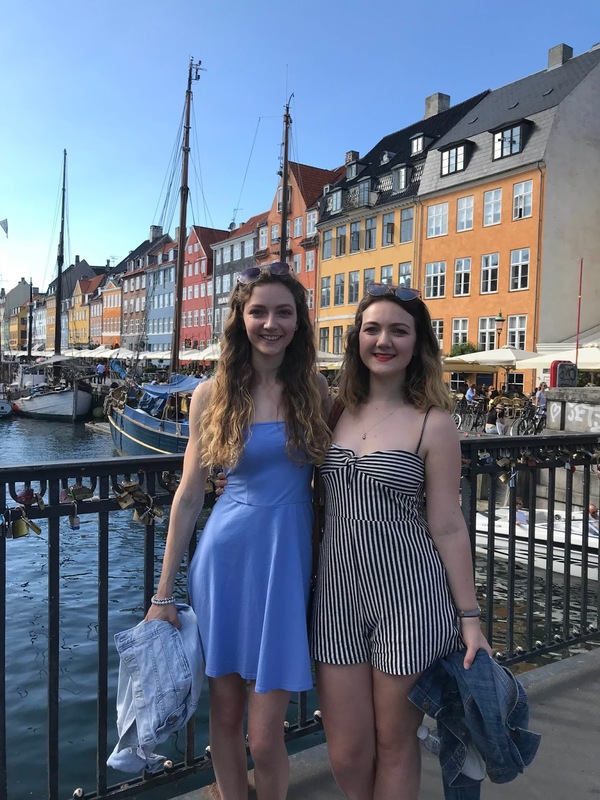 We set off from London Stanstead on an early morning flight and landed in Copenhagen around 12pm, the perfect time to begin exploring. Our Airbnb was located in Nørrebro, one of the quirkiest neighbourhoods in Copenhagen, and around a 15 minute walk to the tube station - a very fab and convenient location. I fell in love with Nørrebro; the area has vintage shops by the bucket load, quirky cafes and a completely chill vibe. Our first exploration was walking around the area and getting an idea of it all. One of the area's most famous streets is Jægersborggade. This colourful street was super quirky to explore; it has contemporary interior shops, ice cream places, cafes, stationary stores and more. Jægersborggade is an individual street like no other and I would really recommend taking a browse. We walked around Nørrebro for a while and came across the Assistens Cemetery, the burial ground for the famous Hans Chrisitan Anderson. The cemetery as you can imagine was super peaceful, however felt more like a park than a cemetery itself. After we saw all of Nørrebro's highlights, we decided to make our way to the iconic Nyhavn harbour. When we arrived, the sun was beaming and the harbour looked like a picture. Despite a bustling area, it wasn't crazy busy and there was plenty of space to explore, snap a few pictures and soak up the scenery. The colourful buildings, and calm river exuded everything the city is about. The last exploration of the day was making our way to the Little Mermaid statue, located around a 20 minute walk from the harbour. Whether you're a Disney fan or not, it's a must to visit, just to say you've seen it. The statue is smaller than expected but well worth the visit, as it holds a famous title in Copenhagen. We took a stroll down to the Bridge Street Kitchen, a street food market located near the harbour, however didn't fancy anything on offer and ended up eating on the harbour. Although this wasn't the cheapest option, it was a lovely experience dining along the harbour and soaking up the hub of Copenhagen. The second day remains one of my favourites as we saw many beautiful sights and ate the most delicious breakfast. Sidecar is known as one of the best brunches in Copenhagen and as it was sat literally opposite to our apartment, we couldn't resist. I ordered a delicious bowl of granola with berries, and Maria chose the pancakes. Even though it was simple breakfast, that bowl was packed with many flavours and goodness (wouldn't mind eating it again now). Our first sightseeing stop of the day was Rosenborg Castle. I'm a massive history geek and love visiting landmarks like castles, to learn about the area's history. The castle was absolutely beautiful on the inside and out, with plenty to see. It wasn't a huge castle, however it exuded that old charm and was surrounded by the stunning Rosenborg Gardens. You could explore all the floors, and even see the castle's crown jewels. The gardens were completely immaculate and are actually free to enter - you only need to pay admission for the castle. If you don't fancy a castle visit, you can always delve into the pretty shrubbery and flowers. We're both a bit princess obsessed and decided to visit the Christiansborg Palace on the same day. The Christiansborg Palace blew our mind with its beauty. As it wasn't as packed as the castle, we were able to take more of our time taking in all the interiors. There were a few different areas of the castle to visit: the palace rooms, the royal kitchen, the ruins, the royal stables, the tower and parliament. My favourite area without fail was the palace rooms; every single detail was truly refined and ultra luxurious. The palace even had a library room which resembled the famous library in the original Beauty and Beast film. It felt like my princess dreams had really come to life! Another highlight had to be the royal kitchen - they set all the pots and pans up to look as if they were still in use and put fake food everywhere! It looked like a grown up toy kitchen. One thing you can't miss out on at the palace is heading up the tower for the best view in Copenhagen. Once you're up there, the tower has 4 different areas to see the view and snap a great shot of the scenery. We kicked off our last day with traditional Danish pastries and a tube ride down to Christiania. Freetown Christiana, is an area in Copenhagen that is renowned for its different way of life. The quirky neighbourhood is a car-free zone, and made up of music venues, vintage shops, organic eateries, workshops, art galleries and surrounded by nature. This area is completely unique to the rest of Denmark and has its own individual appeal for tourists to explore. There are a few rules you'll need to follow however, but these are made clear on arrival. We decided to visit in the morning, rather than the evening as it would be a safer zone filled with tourists. I wasn't entirely sure what I made of Christiania; I liked the colourfulness of it all and certain messages, however it did have a strange vibe I wasn't too fond of. Our last stop of the day was the zoo; we're both big animal lovers and thought seeing the animals would be a lovely way to end the city break. The zoo was located in Frederiksberg Gardens, which made for a lovely nature stroll before we entered the zoo. I was actually pretty impressed with the zoo; it had my favourite animals, elephants, Maria's favourite, giraffes and everything else from polar bears, penguins to tigers. 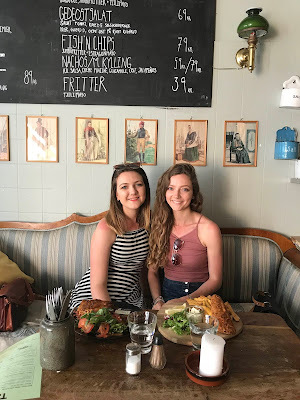 For our last meal, we decided to dine in Nørrebro as not only did they offer a wide selection of quirky places to eat, it was a lot cheaper than other areas of the city. We chose Tjili Bistro as the bistro looked like Instagram heaven and had plenty of hearty dishes on the menu. We were both thoroughly impressed with the food - for the price you got a hefty portion. For exploring in Copenhagen, there are two options either hiring a bike or choosing public transport, and we opted for the transport. At the tube station, you can by a CityPass for either a day, 2 days, 3 or more which covers all tubes, buses and trains in zone 1-4. We picked the 3 day option and it cost the equivalent of £25 - and truly came in handy. There aren't as many tube stations as you'd expect, however you'll always have a tube station near-ish to the top sights - if not buses are quite regular. To fit in with the locals, why not hire a bike? It is more expensive than hoping on a tube but will give you the authentic experience. Copenhagen is generally quite an expensive location, and if you're on a budget when it comes to food, I'd suggest going to street food places (like the Bridge Street Kitchen), or hopping over to Nørrebro. Walk everywhere - I always say this in every city post, but the best way to see a location is simply get lost, and you'll find some hidden gems. Copenhagen is home to one of the oldest theme parks, Tivoli. It costs the equivalent of around £13 to get in and you'll have to pay for individual rides on top of that, or you can get a combined ticket for the equivalent of £47. The Christiansborg Palace has a few areas to visit, and you can pay to enter them all individually. However, I'd recommend getting the combined ticket for all areas as one, they are worth seeing and two, it works out better value for money. Embrace the freebies - As I mentioned this city is quite pricey so where you can save a few bucks, take it. 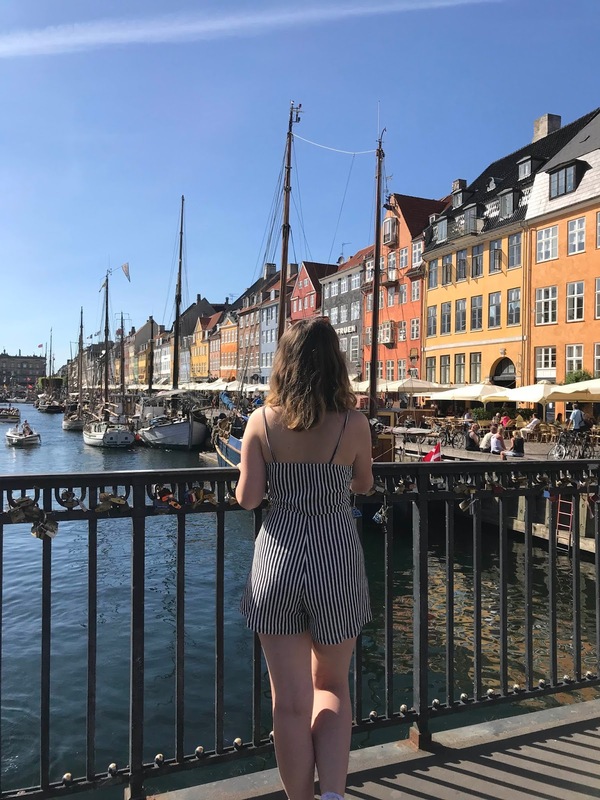 There are many free sights including the parks, walking around the harbour, the Little Mermaid statue etc, that you can still get the full experience of Copenhagen without spending a fortune. When choosing where to stay, I'd highlight recommend Nørrebro. It's quirky, cheap and nearby to a tube station, so you're able to hop on and see the top sights. Our apartment was in the heart of this neighbourhood and complete Instagram goals. If there are only two of you going, you should stay here. 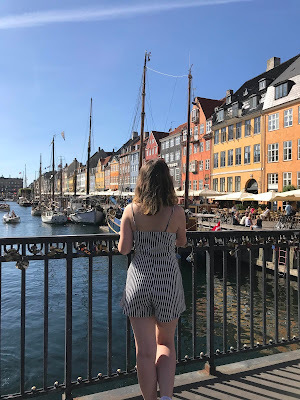 City breaks are one of my favourite types of adventures, and Copenhagen really found a place in my heart. For a city it was ever so calm and you immediately felt at home. The locals are super welcoming, there are bikes wherever you turn and it's generally a happy city. The sights, its food, and its way of life, I loved. Copenhagen, thank you for a fabulous couple of days. I hope you enjoyed this 3 day guide to Copenhagen. Have you visited the city? Everything looks so pretty. Been looking at your insta pics as well as even though I was on holiday myself it made me jealous. Really want to visit Copenhagen!! Denmark has been on my travel lost for ages! Lovely guide, Della! Oh my goodness, this looks incredible! I'm desperate to visit Copenhagen - thank you so much for sharing such beautiful photos!